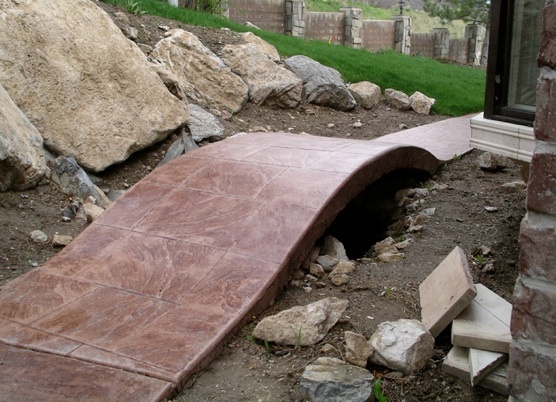 We have been in the concrete business for over forty two years based in Utah County. Concrete is our way of life. Believe it or not, we enjoy it. Our priority is to make quality concrete that lasts. Our service includes: concrete driveways, RV pads, walks, porches, stamped and colored concrete, patios, basement floors, garages, curb and gutter, approaches, parking lots, basement walkouts and pool decks. Pretty much anything that has to do with concrete. No job is too small or too large. This is he original concrete guy. He has been doing concrete on his own since 1971 throughout the Utah County area. He has experience in just about every situation involving concrete. His main concern is that your concrete job is completed in a timely manner with quality and durability that you can appreciate for years to come. He also has an architectural eye, so he likes to design.